Derrick Rose wants his close up. 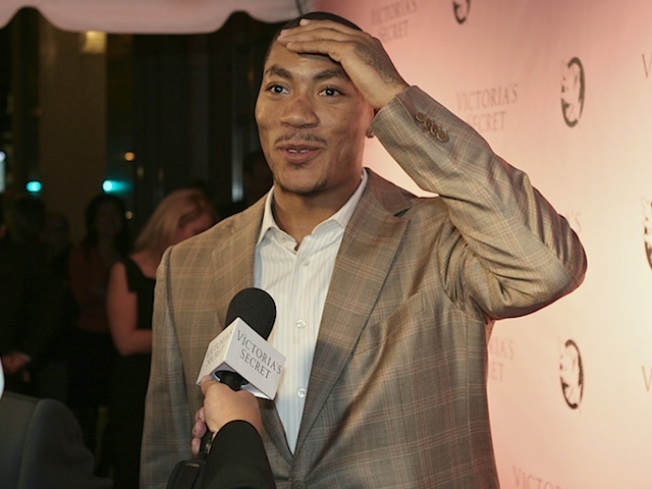 Derrick Rose, star of the silver screen. We can see it now. OK, not really. Responding to the age-old athlete question of "What would you like to do after your playing days are over?" -- an existential question most of us fortunately don't have to start considering around age 28 -- Rose came up with a slightly unconventional response: he'd like to be in movies. "You will probably see me in some movies or something," Rose said after practice Monday. [...] "I really don't know," he said. "I love what's his name? Vince? -- Vince Vaughn. The dry humor. It seems like he's serious about everything, but he's funny. That would be me right there." Rose noted that he was a big fan of Vaughn's latest movie -- "Couples Retreat." "I love movies," he said. "That was a great movie. Hopefully, I'll be in the movies one day." Fortunately for Bulls fans, Rose's playing days aren't anywhere near over. Rose is a mere 21 years old, and is already one of the best players at his position in the NBA. Should he keep developing. Barring injury Rose will be playing at a very high level for at least another decade. And hey, maybe he'll have some sort of Sam Cassell- or Jason Kidd-esque later stage, where reputation and ball skills eclipses the mid-30's loss of athleticism and explosion. We can see it. Far more easily than we can see Rose starring in a film, that's for sure. In the meantime, the Bulls could use a little more basketball focus from Rose and his teammates. After an impressive opening night win over the Spurs, the Bulls have dropped back-to-back games against the Celtics and the Heat, both of which appear to be miles ahead of the Bulls in the East. The Bulls have a chance to right the ship Tuesday night when they play the rebuilding Milwaukee Bucks. Eamonn Brennan is a Chicago-based writer, editor and blogger. He is the editor of Yahoo! Sports's college basketball blog The Dagger and a contributor to Inside The Hall. Follow him at his personal site, eamonnbrennan.com, or on Twitter.